Just a heads up. On January 20th / 21st we will have a Full Wolf & Blood Moon. Visibility will vary by locations of course. Would love to see input on setup and settings for best results. Of course I know results vary by equipment. But it’s a starting point for most of us to work from. As a D3400 owner, I’m still trying to get that great moon shot and trying to be more prepared. Good luck! Let's hope for a cloudless sky. 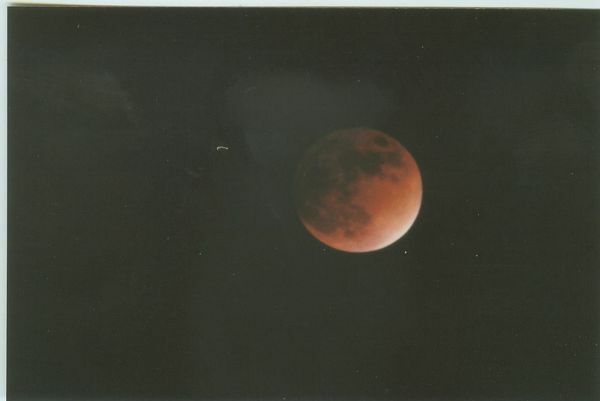 Here are a couple photos of the full lunar eclipse I took some time ago with my film SLR through a 400mm. Unfortunately, I did not record the settings. I do recall having read previously that because the moon's surface is reflecting bright sunlight, the exposure should not be more than about 1/5 to 1/2 second depending on the lens used. Longer lenses tend to allow in more light as more of the dark sky is cropped out. Not the best photos, they were scanned in from printed film photos, so please disregard the lint and debris also present. I have successfully shot both solar sun and moon eclipse. you can not use one set of settings as the changes in light change rapidly. I use either manual or AV as I can control the settings faster as the moon gets less light and the same later when it starts to get lighter. 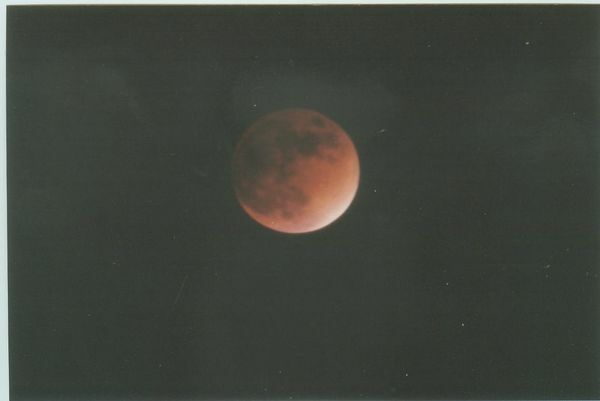 The problem you have is when near full eclipse is higher iso and or larger or lower aperture. The moon is moving and to slow of shutter will show as moon's movement. You will constantly have to adjust as the progression of light changes. I would advise you to get out before and practice use both manual and AV changing settings depending changing light. A good moon shot requires a really long lens, I shoot with a 500mm f/4 and even with a 1.4X extender attached I have seen better shots taken with a pocket camera with a superzoom, I don't know how long those little lenses get, I guess Nikon has one that has a 3000mm lens. Those little cameras will not get the same results with wildlife and birds that I do but I have seen a few moon shots that I can't compete with. 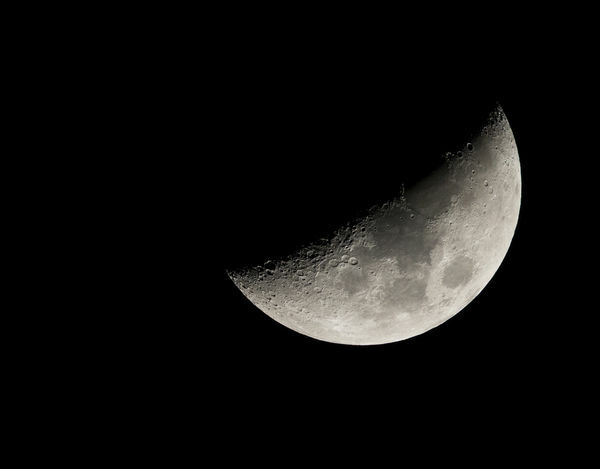 Exposure should be set on the moon itself and then corrected as needed to get the details in the moon. It's always nice, I think, to also get some landscape in the scene so it's a pleasing image of the moon rising above something, this grounds the moon in the image and provides context and then you can call it a landscape. Unless you just want a big round moon all by itself floating in the sky, of course. You can pull up shadows after the fact in processing. This is Half Dome, Yosemite NP, with a nearly full moon shot from the Merced River. The plane in between the two subjects adds a bit of interest (I have it without the plane, too, of course). The title: Between a Rock and A Hard Place! 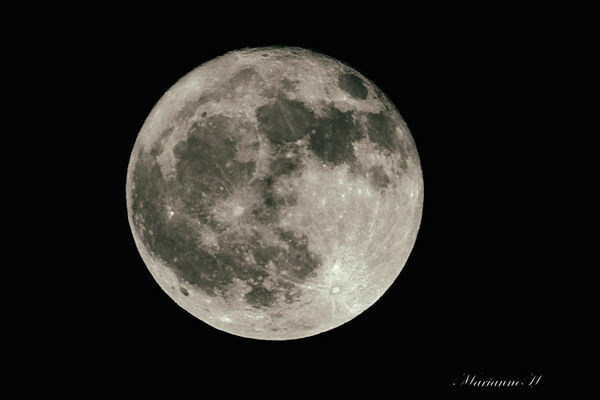 If you want a great big moon you need to have a zoom lens. 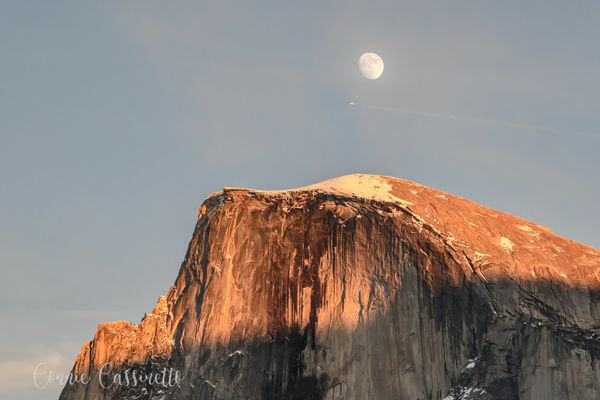 This was shot with a 70-200 lens and I set it at 120mm to get Half Dome in the shot. Start shooting when the moon just peeks up behind your landscape subject and then keep shooting until the light is too bright. This way, you can choose the shot you like best. 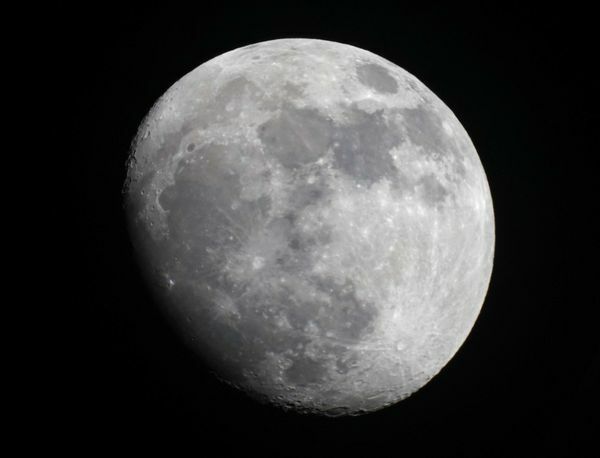 - Assuming you are using a tripod, the moon is moving relative to the Earth resulting in any long exposure being blurry. Look up the 500 rule for astronomy to determine how long your exposure can be with the lens length used without movement blur. While the moon is in eclipse there will be very little reflected light so you will need longer exposures and higher ISO. - During the transition to full eclipse (and back) you can get images of the shadow side or the lighted side but it is hard to get correct exposures of both sides. Chimp (i.e. check the images) during the eclipse to make sure you are getting the results you want. The lighting will be changing quickly. Have fun and good luck with the weather! Typically I start at 200 ISO f/8 1/200th and make any necessary adjustments from there. I don't know why we are even thinking about long exposures. The below image was shot handheld at 1000 ISO f/5.6 1/1000th because I was not using a tripod. 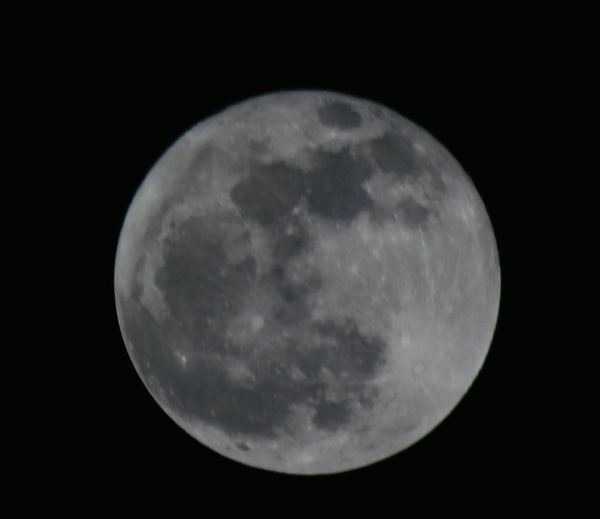 Winter solstice moon: canon 77D, manual, 100-300 mm 5.6L, 100 ISO, 1/500 sec, f 8.0, cropped. Tried to send pics but upload crashed. Trying again: Sony A7 II attached to my 3.5-inch Questar telescope. Upload failed again. Can't seem to upload more than one image. Great LE article. It pays to know your subject! Has exposure guide chart covering the different phases/luminosities of different types of eclipses. Rule of 500: Divide 500 by the focal length of the lens in mm, this the maximum exposure you can use to avoid getting movement of moon or other stars. So if you are using a 250mm lens then maximum exposure will be 2s. If using a 100mm lens then the exposure can be up to 5s. Hope this helps.